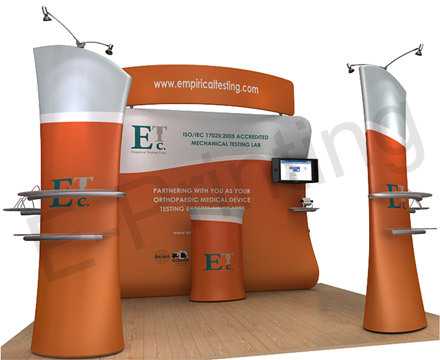 The Tension Fabric Display (U Shape) captures the presence of a free-standing stretch fabric display with the portability of a light-weight banner stand to give you the best of both worlds! The rich fabric stretch graphic makes it a snap to attract attention. Shelves and literature holders are optional for either one side or both.